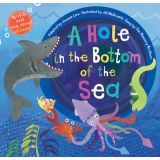 Discover amazing and fascinating sea creatures in the hole in the bottom of the sea! Based on the traditional cumulative song, each verse introduces a new creature and its place in the food chain, with the shark chasing the eel, who chases the squid, who chases the snail. 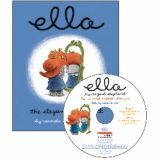 Enhanced CD includes video animation and audio singalong. 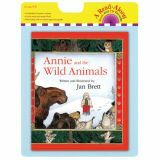 Annie is a little girl who lives in a forest cottage with her cat Taffy. When Taffy disappears mysteriously into the snow, Annie is crushed. She puts out corn cakes to see if she can find a new animal friend to keep her company, but who can snuggle with a moose, bear, or wildcat? Jan Brett's wonderfully illustrative borders tell the story of the vanishing Taffy and the surprises spring has in store. 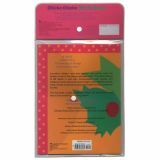 This perennial favorite is now a paperback book and CD set, with an unabridged dramatic reading set to fun music and lively sound effects. From the Dr. Seuss Cat in the Hat collection. 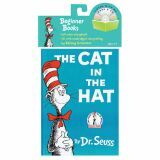 The Cat in the Hat Beginner Book & CD. 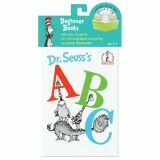 This soft cover storybook is illustrated in full color. The CD features unabridged storytelling by Kelsey Grammar. There is always enough room for this rollicking alphabet chant that is been a children's favorite for over 20 years! Bill Martin Jr. and John Archambault's rhythmic rhymes and Caldecott Honor illustrator Lois Ehlert's bold, cheerful art has made the Chicka Chicka series a classic! For the first time ever, the complete edition of the original Chicka Chicka Boom Boom story will be available in a new lap-sized board book that will surely delight a new generation of Chicka Chicka fans. Emily Elizabeth loves her dog Clifford but he's so big he can't fit inside the house and she has to give him his bath in a swimming pool. 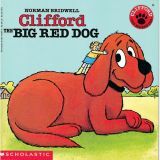 This is the first in a series of books that follow the adventures of Emily Elizabeth and her beloved Clifford. Color illustrations accompany the text. Brought to life over sixty years ago by Margret and H.A. Rey, Curious George has found a lasting place in the hearts of millions of children all over the world. Along with his friends, George has had many fun adventures. 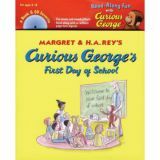 Now you can listen and learn with Curious George and his friends too! 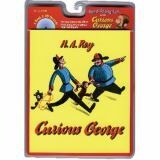 George's curiosity leads him into new adventures when he escapes from the zoo, gets a job, and winds up in the hospital. Ella's counting the days until the first day of school, but not because she's eager to start! On the contrary, as the littlest elephant on Elephant Island, she's terribly nervous about the other kids she'll meet. Then she receives a beautiful red hat that belonged to her grandmother - her new lucky charm. 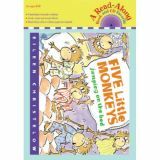 Christelow's popular story of the bedtime shenanigans of five little rambunctious monkeys is now available in an oversized board book just right for sharing. Full color. 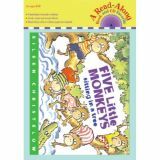 While their mother takes a nap, five mischievous monkeys discover that it is unwise to tease Mr. Crocodile.